Two of Australia’s biggest casinos collectively received 49 million visitors last year. And, while locals often frequent such establishments, it is tourists that are helping to push numbers up. Nine million tourists visited Australia over 2017, according to IQCM. However, Chinese tourists are the most common demographic that are flocking to the country to utilize some of the best casinos in the world. In 2017 alone, 1.4 million Chinese tourists visited Australia, with local casinos stating that visitors from mainland China provide their largest VIP custom. But why is casino tourism such a booming industry? Casinos have a way of drawing people in. Statistics show that in 2016, just 4% of travelers visited Las Vegas with the sole intention of gambling, and yet, 69% of visitors end up gambling at least once during their visit. This is because each and every casino across the world offers a unique and different experience which gamblers just can’t resist. When you’re planning a trip to Monaco, the thrill of hitting the Casino de Monte Carlo, which is featured in movies like Goldeneye and Ocean’s Twelve, is irresistible to resist. And the same goes on a trip to the UK, where the Basement Casino at North Cadbury Court is too much of an exciting opportunity to miss. Casinos have to ensure that they get tourists through their doors and spend as much of their cash as possible. Therefore, they go all-out to provide an experience like no other. One of the biggest factors which draws tourists in is being able to show off their finest attire at the poker table. Casinos have strict dress codes and many tourists love putting on their evening gown or tuxedo in order to experience a sophisticated and luxurious night out. You’ll find that every casino across the world has a different dress code, with some even banning their visitors from showing tattoos. In Arkansas, locals have only just voted to legalize casinos, meaning they can now legally gamble on home turf. However, there are still a number of counties where it is illegal for residents to gamble. North Korea has strict gambling laws which prevent gambling in the country. However, there is one casino in the country that caters for tourists, as these laws don’t apply to visitors. Meanwhile, South Korean citizens are limited to entering just one of the country’s 17 gambling establishments. 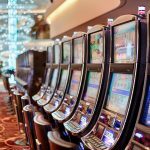 Therefore, citizens from these destinations and others where gambling prohibition laws exist typically head to some of the world’s biggest casinos, such as those in Macau, Australia and Las Vegas, in order to get their gambling fix. As a consequence, this further increases casino tourism around the world. Casino tourism plays a big role in the tourism sector across the globe. Australia has particularly benefited from tourists heading overseas to maximize their casinos. 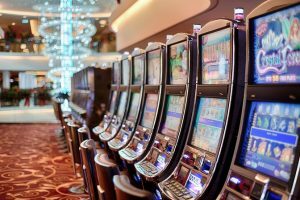 Meanwhile, the lure of so many fabulous gambling establishments, being able to look sleek and gamble legally encourages gamblers to head to casinos away from home.